The findings of a new study published in PLOS Pathogens found out that the Immune system cells known as cytotoxic T cells attacks blood vessels and cause fatal swelling in the brains of mice with a condition that mirrors a severe complication of malaria in humans. After contracting malaria, some people develop a complication known as cerebral malaria, which causes brain swelling and bleeding. Cerebral malaria is known to be the most severe neurological complication of infection with Plasmodium falciparum, a clinical syndrome characterized by coma. 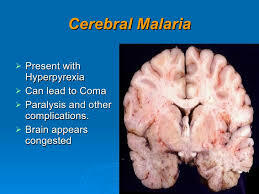 It is reported that Cerebral malaria kills 15 to 30 percent of the people afflicted or diagnosed of it. The worrisome part of it is that the mechanisms that cause the disease are not completely understood. Dr. Phillip Swanson of the National Institutes of Health, Maryland, and colleagues peered into the brains of mice infected with a parasite that causes a similar fatal condition. They used a technique called intravital microscopy to capture movies of immune cell activity in the living mouse brain as the disease progressed. This was done in order to clarify the causes of cerebral malaria. When the scientists injected the mice with antibodies that prevented T cells from sticking to blood vessels, the fatal swelling was prevented. This confirmed that T cells play a major role in causing the mouse version of cerebral malaria. It also suggests potential new treatment strategies, should further research confirm that a similar mechanism is responsible for cerebral malaria in humans. The research revealed that cytotoxic T cells aggregated along blood vessels in the diseased mouse brain, interacting with tiny parasite fragments presented by the vessels. These interactions were directly associated with vascular leakage. The leaking blood vessels caused the brain to swell, and the resulting pressure killed neurons that keep the heart and lung functioning. "By watching immune cells function in the living brain during cerebral malaria, the investigators of this study revealed that parasite-specific CD8+ T cells attacks the wall of the cerebral blood vessels, causing excessive swelling and damage to a vital brain center. This fatal disorder can be prevented by therapeutically displacing the pathogenic T cells from the vessel wall." As noted by the researcher. A team of researchers, co-led by a University of California, Riverside professor, has found a long-sought-after mechanism in human cells that creates immunity to Influenza A virus, which causes annual seasonal epidemics and occasional pandemics. The research, outlined in a paper published online in the journal Nature Microbiology, could have broad implications on the immunological understanding of human diseases caused by RNA viruses including influenza, Ebola, West Nile and Zika Viruses. As the Shou-Wei Ding said; "This opens up a new way to understand how humans respond to viral infections and develop new methods to control viral infections," who is a professor of plant pathology and microbiology at UC Riverside,and is the co-corresponding author to the paper where this finding is published. 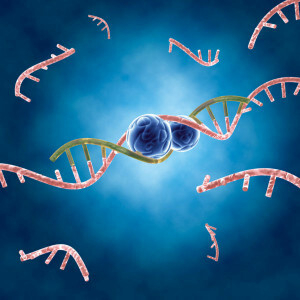 The findings build on more than 20 years of research by Ding on antiviral RNA interference (RNAi), which involves an organism producing small interfering RNAs (siRNAs) to clear a virus. His initial research showed that RNAi is a common antiviral defense in plants, insects and nematodes and that viral infections in these organisms require active suppression of RNAi by specific viral proteins. That work led him to study RNAi as an antiviral defense in mammals. In a 2013 paper in the journal Science he outlined findings that show mice use RNAi to destroy viruses. But, it remained an open debate as to whether the same was true in humans. That open debate led Ding back to a key 2004 paper in which he described a new activity of a protein (non-structural protein 1, or NS1) in the influenza virus that can block the antiviral function of RNAi in fruit flies, a common model system used by scientists. In the current Nature Microbiology paper, the researchers demonstrated that human cells produce abundant siRNAs to target the influenza A virus when the viral NS1 is not active. 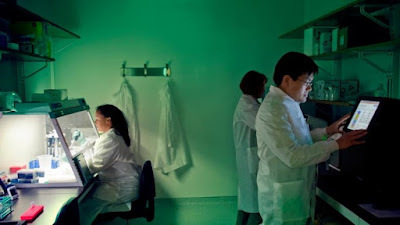 They showed that the creation of viral siRNAs in infected human cells is mediated by an enzyme known as Dicer and is potently suppressed by both the NS1 protein of influenza A virus and a protein (virion protein 35, or VP35) found in Ebola and Marburg viruses. The researchers in the lab of the co-corresponding author, Kate L. Jeffrey, an investigator in the Massachusetts General Hospital gastrointestinal unit and an assistant professor of medicine at Harvard Medical School, further demonstrated that the infections of mature mammal cells by influenza A virus and other RNA viruses are inhibited naturally by RNAi, using mice cells specifically defective in RNAi. "Our studies show that the antiviral function of RNAi is conserved in mammals against distinct RNA viruses, suggesting an immediate need to assess the role of antiviral RNAi in human infectious diseases caused by RNA viruses, including Ebola, West Nile, and Zika viruses," Jeffrey said. Roselle is a perennial or annual herb mostly grown in Africawhich is used as vegetable, beverage and also as herbal medicine. Two researches that were published in early 2016 in the Journal of Intercultural Ethnopharmacology and Journal of Acute Disease revealed that this plant extract has high anti-microbial activity effective also on multi-drug resistant microbes. "Roselle or Hibiscus sabdariffa L. is a well known multipurpose tropical medicinal plant, this plant is intensively cultivated in Sudan and considered as one of the most famous non-alcoholic Sudanese beverage, known locally as “Karkadeh”, said Dr. Emad M. Abdallah, associate professor in bacteriology at College of Science and Arts at Al-Rass, Qassim University, Saudi Arabia;He is also the sole lead author of the study as reported to We The Microbiologist. He said further that "The macerate of the red calyces of this plant consumed as hot or cold drinks are also used in Sudanese folk medicine for the treatment of respiratory tract infections, colds, fever and hypertension. It is also mixed with other plants to treat malaria." Dr. Abdallah treated the Calyces of Hibiscus sabrdariffa with methanol (Which collect polar and non-polar compoundsin orderto get the methanol extract) and then subjected different bacterial strains to it using disc diffusion tests. The bacteria taken for the study are both from gram- positive and gram-negative groups. The result shows larger zone of inhibition as compared to Gentamicin and Penicillin. For further investigation about its role on Acinetobacter baumannii which is an opportunistic pathogen commonly seen in hospital acquired infections. "The results revealed that the methanol extract of the calyces of Roselle has potent antibacterial activity against all tested bacteria (gram-negative and gram-positive), as well as multi-drug resistant Acinetobacter baumannii" said Dr. Abdallah. 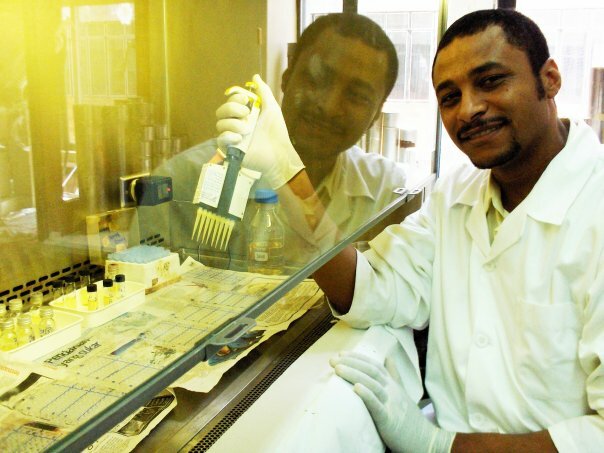 "The results of the current study support the widespread use of this popular plant in Sudanese folk medicine, particularly against some illnesses related to microbial infections. The output of this investigation also introduces the calyces of Hibiscus sabdariffa as one of the most promising sources for new natural and effective antibacterial drugs competitor to antibiotics." Multidrug resistance bacteria have been known to impose threats which allow researchers to come out with new convention of solution to eradicate such bacteria. In his word, "The world witness a dramatic increase in the multi-drug resistant pathogens and on the other side there is an obvious failure of antibiotics to eradicate these pathogens. Such study, Support the opinion that it is worthy for the research scholars and pharmaceutical companies to carry out further investigations on natural products and medicinal plants for isolation and identification of new antibacterial compounds which can be formulated as effective antibiotics. Hibiscus sabdariffa could be extensively investigated for separating this bioactive compound and used as a new antimicrobial drug or used with the ineffective antibiotics in a synergy form to strengthen and alter the mode of action of the regular antibiotics against the antibiotics resistant bacteria." Currently is looking to isolate single or group of compounds with added Microbiological, Pharmacological and Toxicological properties to innovate new bacterial drug from Hibiscus sabdariffa. The human gut microbiota has repeatedly been linked to obesity. Mice that receive gut bacteria transplants from overweight humans are known to gain more weight than mice transplanted with gut bacteria from normal weight subjects, even when the mice are fed the same diet. A study from the National Food Institute confirms this finding while seeking new perspectives on the reasons behind this link. In a new study, researchers from the National Food Institute transferred bacterial communities from 32 children and adolescents - half of which were owerweight and half within the normal weight range - into specially bred mice with ‘no' bacteria in their intestines. 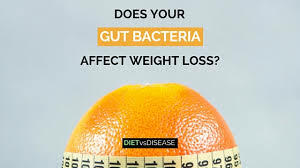 The researchers subsequently examined differences in weight gain and metabolism among the mice and compared these findings with the corresponding differences between the children, who had originally 'donated' the bacteria. Professor Tine Rask Licht from the National Food Institute explains that "The study, in which we have used gut bacteria from children, confirms results from previous studies among adults, which have shown that mice colonized with gut bacteria from overweight people gain more weight than mice whose intestines are colonized by bacteria from people within the normal weight range - even though they eat the same diet." The new study is based on a larger number of humans than previous similar studies. As such it is possible to compare each mouse with their 'bacteria donor' and to examine other differences between the donors which are potentially transferred to the mice. Additionally, they investigated how the spread of bacteria between individual mice affects their digestion/metabolism. Since, the study design is different from previous work, it was possible to obtain new observations related to the effect of gut bacteria on host metabolism. Tine Rask Licht says "The bacterial community in the intestine of mice with the smallest weight gain has been less capable of converting dietary fibre in the feed, which partly explains the difference in weight between the animals,"
The study also shows that the gut bacterial composition affects a number of other measurements, which have to do with the ability of the mice to convert carbohydrates and fats, and which affect the development of diseases such as type 2 diabetes. When interpreting studies such as this one it is important to keep in mind that not all gut bacteria from humans are able to establish themselves in the mouse intestine. The study has been carried out in cooperation with the Novo Nordisk Foundation Center for Basic Metabolic Research at University of Copenhagen as well as Holbæk Hospital. The hospital has provided faecal samples from 32 Danes aged 6-17 years that have been transplanted into 64 mice. Researchers have find a sweet solution to kill Escherichia coli in drinking water using paper strips laced with sugar which could be the sweetest solution able to kill E. coli in contaminated water. 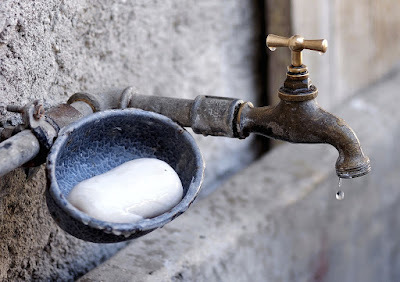 Sushanta Mitra a researcher in York University says the "DipTreat" discovery will be key to developing a new generation of inexpensive and portable water treatment devices, with human health benefits in Canada and around the world. Her group had earlier on discovered new ways to detect E. coli in contaminated water using a Mobile Water Kit. Porous paper strips laced at the top and bottom with sugar are dipped into potable water to fish for, and trap, the bacteria, which can be harmful. The middle of the strip is infused with an antimicrobial agent extracted from the seeds of Moringa oleifera – commonly known as drumstick or horseradish tree. 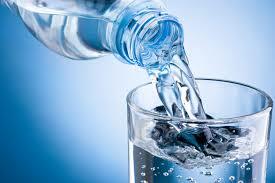 The treatment was shown to inactivate 90% of E. coli in water samples in less than two hours. In her words she said "Now with DipTreat, we have learned it will take less than two hours to fish, trap and kill E. coli in water, we were able to efficiently remove almost 90 per cent of bacteria by dipping the special paper strip - DipTreat, in contaminated water samples." While using porous paper strips to trap the bacterial cells, for killing, the researchers used an antimicrobial agent extracted from the seeds of moringa - commonly known as drumstick or horseradish tree. As a result, the DipTreat solution for water treatment uses only naturally available antimicrobial substances and sugar, with minimal environmental and health impact. Currently, popular water treatment systems use silver nanoparticles and clays, whose long term impact on human health is yet to be fully understood, according Mitra. So far, DipTreat is effective for small quantities of water. For example, someone who is hiking can collect a glass of water and then dip the paper strips to purify it before drinking. Researchers believe that the invention could lead to a much greater impact. "We expect this new approach to 'kill' E.coli and seamlessly eliminate the harmful bacteria from water." Recognizing the global importance of water purification technology, UNICEF invited Mitra to showcase his team's work at a stakeholder meeting in Copenhagen on November 22 explaining the impact it could have on the national and global health scenario, from the far north of Canada to the remote villages of India, and around the world. Featured article of the Royal Society of Chemistry Journal Environmental Science Water Research & Technology the study is co-authored by Mitra, Saumyadeb Dasgupta and Naga Siva Gunda. Malaria has seemed to be almost 2000years old based on the latest analysis of human teeth collected from cemeteries at Italy. Previously, malaria was the major disease during the Roman reign at Italy. The incidence was supported in many major writings of ancient authors, although it was unknown that which probable parasite would have caused the disease. Currently, Plasmodium falciparum is the major contender of the disease with deaths of malaria known to spread globally. The question that hits is there are several species of Plasmodium, and knowing the earlier species would help to interpret the diversity of the disease and how the parasite has evolved over time. 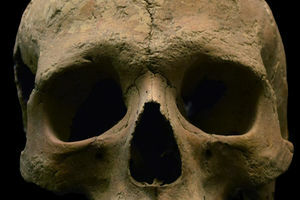 Stephanie Marciniak, a biological anthropologist at Pennsylvania State University who is the lead author of the study and along with her colleagues examined 58 adults and 10 children teeth from the corpse which dated back first to third centuries A.D. They undertook study from three different places at Italy as to provide the depth of understanding the overall malaria prevalence and how it technically flourished in that country. Researchers analyzed DNA fragments from dental pulp. Isolating Malaria parasite was much challenging as microbes dwell in bloodstream and organs like liver and spleen but they decompose over time; but fortunately researchers able to find the presence of Plasmodium falciparum from two adults. This research infers that Malaria is a historical pathogen that had caused much widespread death in Rome. In future, researchers want to look further for ancient Malarial DNA to understand how the disease evolved over time. Microbiologists use next-generation sequencing technology to identify a bacterial DNA fingerprint. (Credit: Centers for Disease Control and Prevention). Metagenomics, a new field of study can accelerate the diagnosis of bacterial outbreaks where public health officials can identify potential bacteria in food borne disease in a single day. The methodology also able to answer about the co-infection with seconday microbes playing infective role. Georgia Institute of Technology researchers along with U.S. Centers for Disease Control and Prevention (CDC) recently compared the new methodology against culture based technique from two different outbreaks of Salmonella. The metagenomics approach relies on DNA sequencing directly from the stool samples of the patients and analyzing them with Bioinformatics. This will not only pin point the bacterial culprit but also find out the secondary pathogen participating in co-infection. The research was reported in the journal Applied and Environmental Microbiology on 23rd of November, 2016. 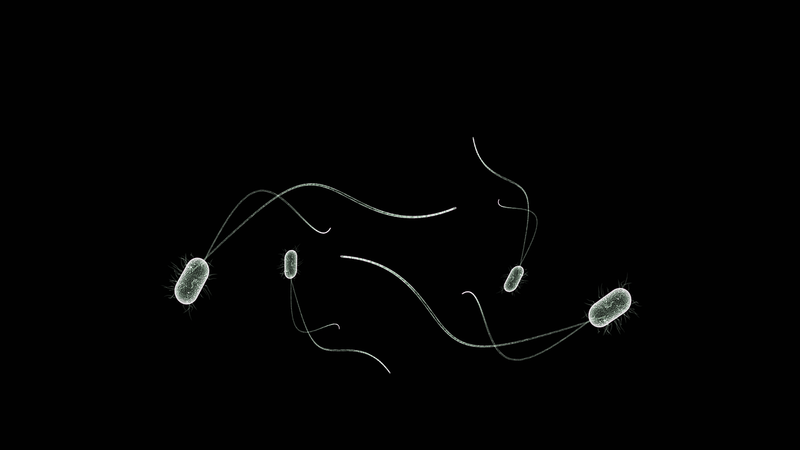 Conventional methods take 2-3days and problem lies when some bacteria do not grow on culture media. 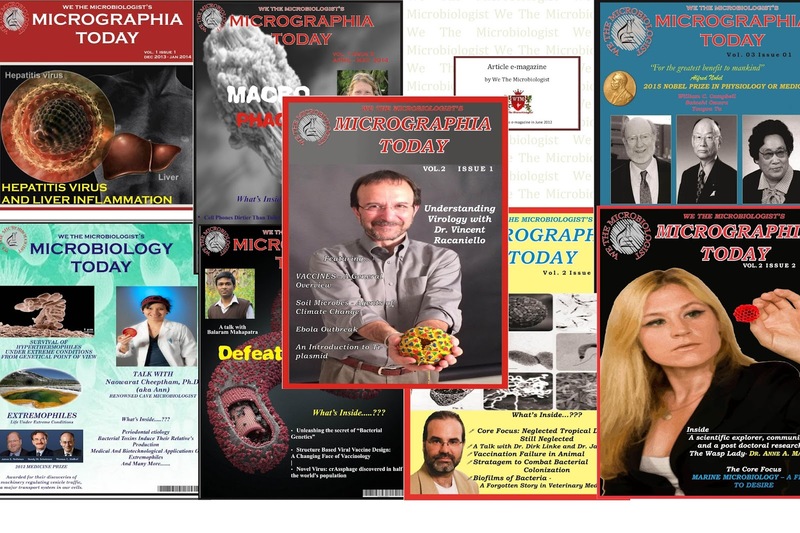 In metagenomics approach microbes are identified by sequencing all the DNA samples present in the sample and also specifies the relative abundance of such microorganisms with their virulence potential. Researchers pointed out that in whole genome sequencing one has to make a pure culture to proceed forward for identification of the sick causing bacteria, but in metagenomics whole sample can be used for direct identification. Thus this method saves a lot of time with detailed diagnosis of thepatient. Apart from benefits, the scientists also pointed out two challenges. First is the cost, where metagenomic study proved to be costlier than traditional methods, hence can be used when the situation seems to be complicated or urgent. Second challenge is it also sequence Human DNA where it covers about 99 percent of genomic data and this may be possible hindrance that accelerate the analysis. The whole idea of Parkinson disease development might be wrong if we haven't started with the gut, rather than brain. If this idea seems to be correct then the whole idea of treatment of Parkinson's would be game changing. Parkinson's disease develop neuronal death leading to tremors and stiffness, leading to difficulty in movement. There are several drugs that provide treatment but the effect looses as the disease progresses. One of the hallmarks is synuclein which is normally found as soluble molecules in healthy nerve cells, but in patients of Parkinson's something affects leading this synuclein to wrap in different shape and clump as fibres. Idea of the research provided first clue decade ago when pathologists reported distinctive nerve fibres made of synuclein in the nerves of the gut during autopsies both in people with Parkinson and those without symptoms but had fibres in brain. They had suggested an unknown possible link with the microbe or toxin. So to bring down the understanding to right sense the investigation provided clues that Parkinson patients often reported with constipation 10years before they notice tremors. Another added symptom was the loss of smell. As both of these organs are communicated with outside world so it is much possible that it is the effect of microbes or toxins. Collin Challis and his colleagues at California Institute of Technology underwent mice model study, where they injected synuclein fibres into the stomach and intestine. After three weeks it was observed that fibres have developed in the brain and by two months it took control over the part of the brain that regulates movement. Consequently mice became much less agile which is equivalently observed in Parkinson's patients. No single bacterium or virus has been pinpointed for this cause. Early evidence suggests that patients suffering from Parkinson's have different set of gut bacteria as compared to healthy people. Some other studies have also shown that farmers who are exposed to certain pesticides like drinking water from contaminated wells are more likely to Parkinsons. So chemicals can also damage nerves of intestine. 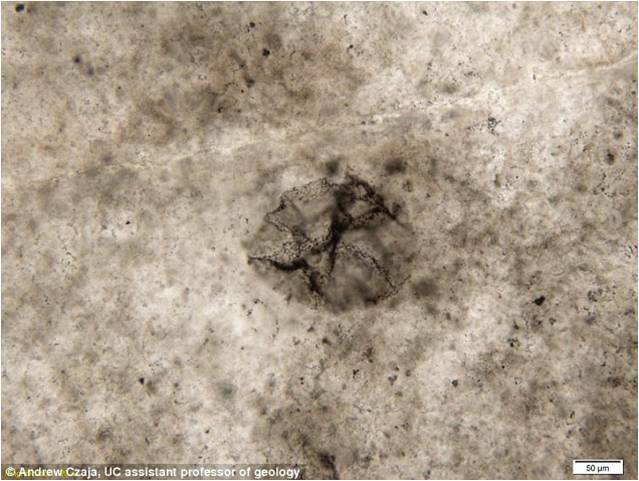 Researchers from University of Cincinnati discovered the ancient bacteria which dates back 2.5 billion years ago. The picture of the ancient bubble shows that the bacteria thrived even when there were no proper sunlight and oxygen. These microbe is known to fed off from sulphur and is found to be the oldest kind ever. Geologists unveiled this fossil in their expeditions to South Africa. The fossil evidence shows that oxygen levels where then just a fraction of what they are now today. Over million of years early life was thought of photosynthesizing leading to greatest leak of oxygen levels on Earth, which is thought to be 2.3 billion of years ago. Samples that were collected indicate that the microbes were thriving in deep oceans 2.8 billion years ago. The large spherical structure as shown here in the picture is larger than modern bacteria. 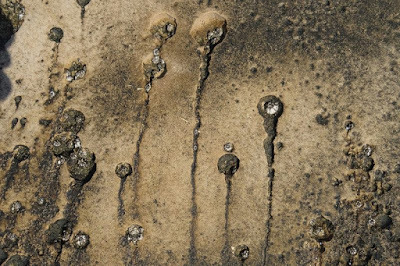 These microbes oxidised sulphur similar to those bacteria found in hydrothermal vents today. Dr. Andrew Czaja, who is a geologist at UC said, "These are the oldest reported fossil sulphur bacteria to date. This discovery is helping us reveal a diversity of life and ecosystems that existed just prior to the Great Oxidation Event, a time of major atmospheric evolution."